Thanks to those who linked up last week. There were SO many amazing links it was difficult to chose. This week we chose 6 features, a few are different be sure to check both blogs! Please take a look and click through to see their great items! 1. 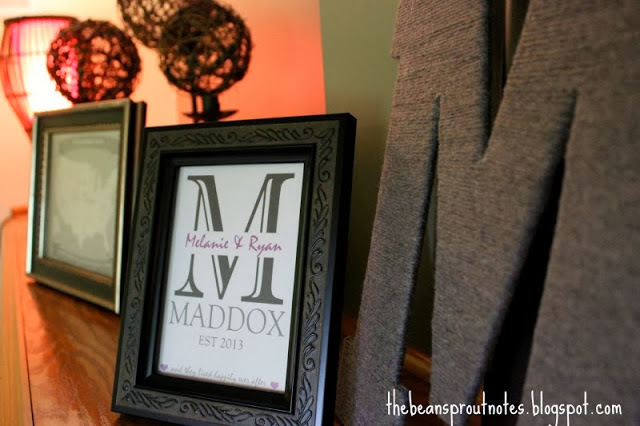 The Bean Sprout Notes shared this fun wedding gift idea, made simply in PicMonkey. I love the monkey…and how beautiful is this? 2. 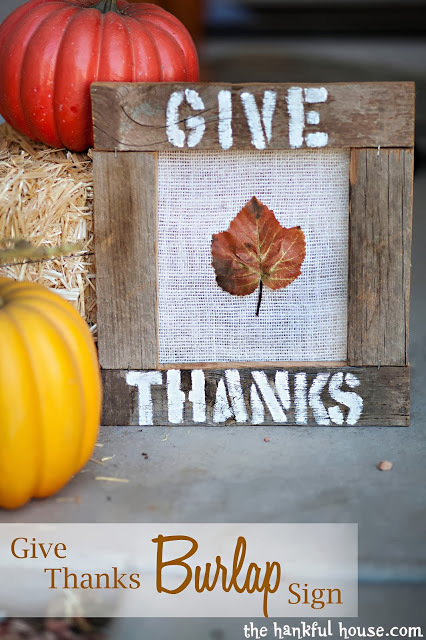 Mandy from The Hankful House shared this adorable Give Thanks Burlap Sign. She made a great find from Goodwill and created this beautiful fall addition with it. 3. 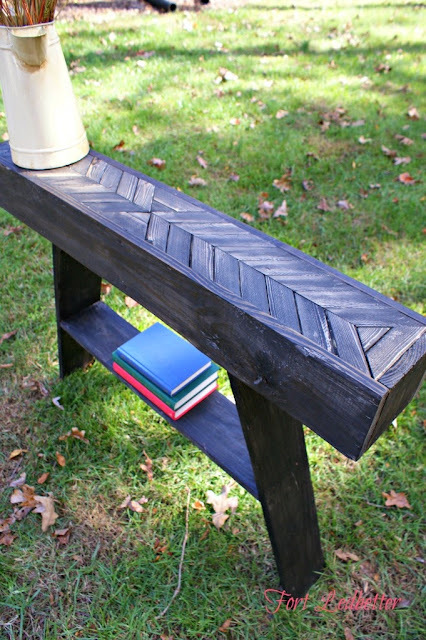 Marie from Fort Ledbetter shared this wonderful Entryway Table that she made herself from a pallet. She shows photo tips and step by step instructions. Love it. 4. 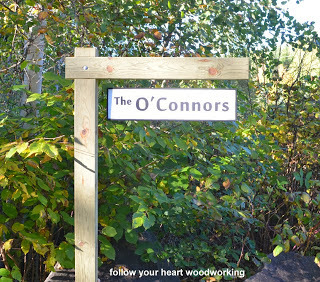 Julie from Follow Your Heart Woodworking shared a tutorial for creating your own Sign Post. What a fun way to hang your own yard signs. 5. 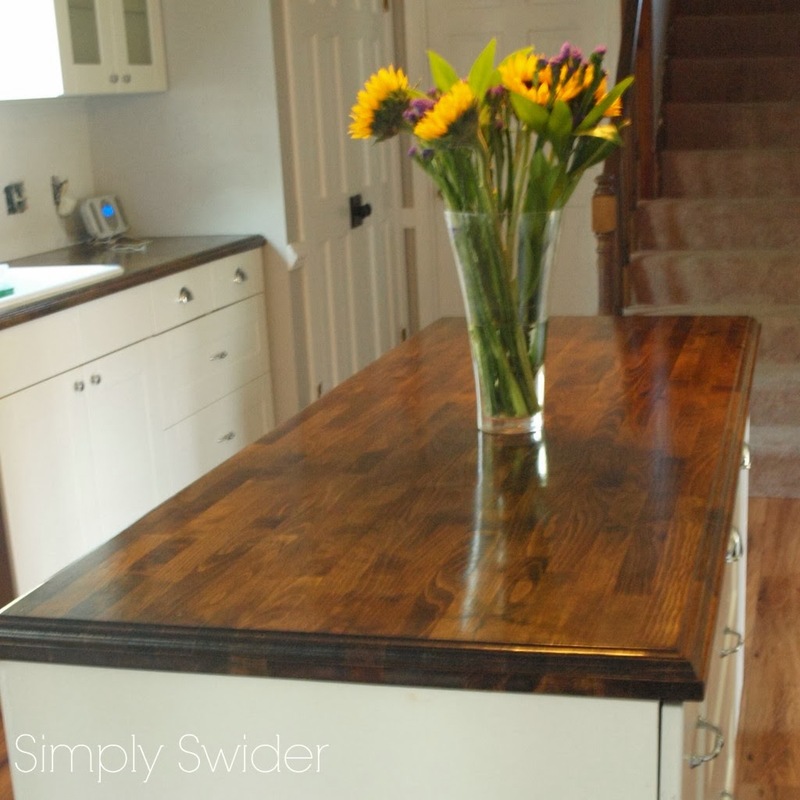 Stephanie at Simply Swider shared these beautiful butcher block counter tops! I LOVE them, the routing on the edge really makes them unique. 6. Cindy from Little Miss Celebration Shared the cutest paper and felt Turkey! She has a great tutorial on how to make your own. I love the fun fall colors, I know my kids would love it! Two link ups below....one for Google+. Please follow the HOSTS & Co-HOST to participate on both! The second will be a Facbook Link Up....(anyone can participate)...Please follow the HOSTS & find at least 3 others to be social with too. Let them know you found them via #WowzaWeekend. Thanks for inviting me to your lovely party, Mindi! 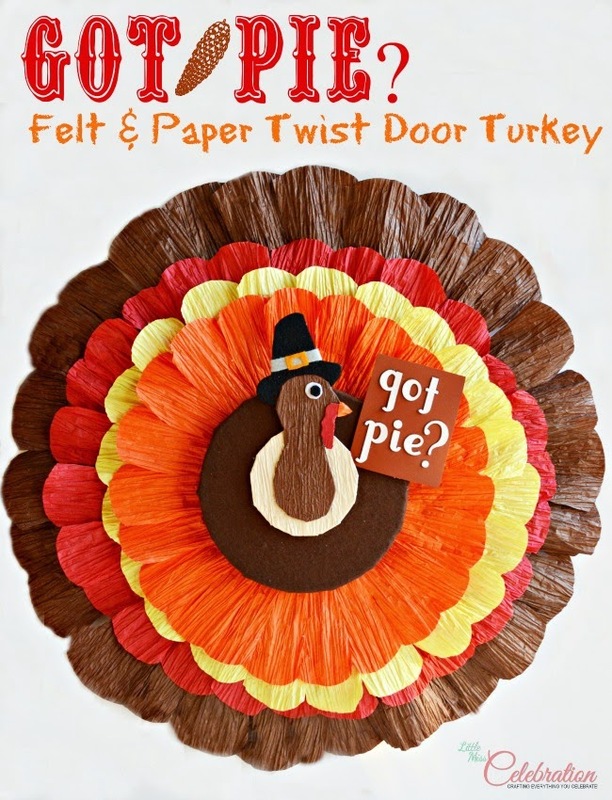 Mindi, thank you SO much for featuring my Felt & Paper Twist Turkey! What a sweet surprise! :) Thanks so much to you and Pam for hosting the party - hope you are having a happy Friday and pleasure have a fantastic weekend!